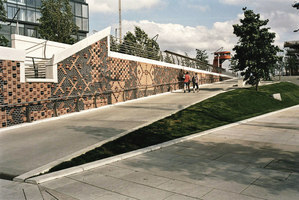 Benedetta Tagliabue was born in Milan and graduated from the University of Venice in 1989. In 1991 she joined Enric Miralles’ studio where she eventually became a partner. Her work includes a number of high profile buildings and projects in Barcelona: Diagonal Mar Park (1997-2002), Head Office Gas Natural (1999-2006) and the Market and quarter of Santa Caterina, Barcelona (1996-2005), Public Library at Palafolls, Barcelona (1997-2007), as well as projects across Europe, including the School of Music in Hamburg (1997-2000) and the City Hall in Utrecht (1996-2000). 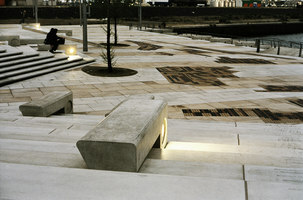 In 1998 the partnership won the competition to design the new Scottish Parliament building and despite Miralles’ premature death in 2000, Tagliabue took leadership of the team as joint Project Director and the Parliament was successfully completed in 2004, winning several awards. In 2010 she taught in Columbia University in New York and presently she is directing summer workshops at TEC de Monterrey (Mexico) and the School of Architecture in Venice (IUAV) besides being a lecturer nearly once a month in architectural forums all over the world, such as the RIBA, the Architectural Association and the Bartlett School of Architecture in London, the Berlage Institute in Amsterdam and at Columbia University in New York, among others. Recently she received the RIBA’s International Fellowships for her particular contribution as a non-UK architect she has made to architecture (2009) and an Honorary Doctor of Arts degree from Napier University (2004). She is invited to participate as a jury in international architectural competitions and prestigious awards including the RIBA Stirling Prize 2009. She won the competition for the new design of Hafencity Harbor in Hamburg, Germany, for a subway train station in Naples and for the Spanish Pavilion for Expo Shanghai 2010. Currently she is working on a Language Museum in Barcelona, a house of the Music in Gandia, Spain and a museum for a Chinese Painter in Neijiang, China among other projects. Today under the direction of Benedetta Tagliabue the Miralles Tagliabue-EMBT studio works with architectural projects, open spaces, urbanism, rehabilitation and exhibitions, trying to conserve the spirit of the Spanish and Italian artisan architectural studio tradition which espouses collaboration rather than specialization. AREA 113, November/December 2010, "Benedetta Tagliabue EMBT”. (Edition Federico Motta Editore SpA, Milan, Italy 2010). Studio EMBT. I Quaderni dell’industria delle construzioni. (Edilstampa, editrice dell’ANCE, Roma, Italy). Tagliabue After-life in progress. ( El Croquis Editions, Madrid, Spain 2009). AA. ARQUITECTURAS DE AUTOR 2006. EMBT MIRALLES-TAGLIABUE. (Edición T6 Ediciones 2006, Escuela Técnica Superior de Arquitectura. Universidad de Navarra, Pamplona, Spain). Productions (École Spéciale d’Architecture Paris). LA BIBLIOTECA PÚBLICA ENRIC MIRALLES. Parc de les Esplanes, Palafolls. De Miralles Tagliabue EMBT. (Edicions Del Roig, Ajuntament de Palafolls, Edicions de l’Eixample, S.L. Barcelona). 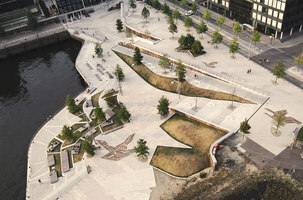 EMBT Enric Miralles Benedetta Tagliabue. Work in progress. 3rd Edition, Complete extended edition. (Actar, Barcelona, Spain 2006). 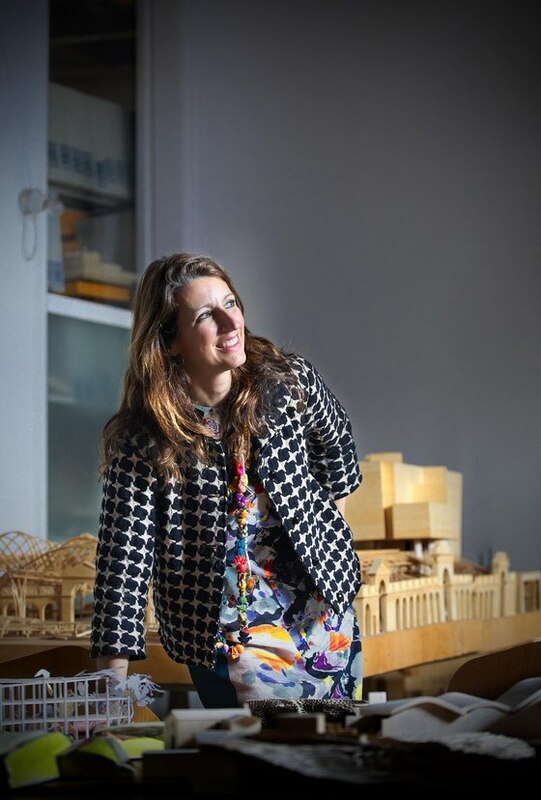 EMBT Enric Miralles Benedetta Tagliabue. Work in progress. 2nd Edition, Complete extended edition. (Actar, Barcelona, Spain 2005). 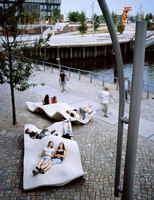 “Enric Miralles Benedetta Tagliabue EMBT Architects”. (Loft Publications, Barcelona, Spain, 2003). “EMBT Miralles Tagliabue. Work and Projects”. (Skira, Milan, Italy 2002). N. 30+49/50+72[ll], N.100 101, complete extended and revised edition (El Croquis Editions, Madrid, Spain 2002).
" 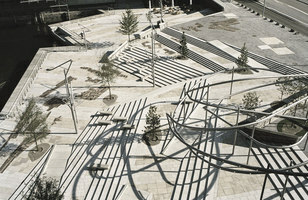 Enric Miralles Benedetta Tagliabue Monograph". EL CROQUIS, N. 100 101, 2000 1996-2000. ( El Croquis Editions, Madrid, Spain 2000). "MIRALLES TAGLIABUE, Architecture in time ". Architectural Monograph. (Editorial Gustavo Gili, Barcelona 1999).